We were excited to check out the new Pterosaurs exhibit, a.k.a. flying dinosaurs,and it did not disappoint. If you are not already familiar with the Fernbank Natural History Museum it is nestled on the edge of Atlanta in the Druid Hills area. The property is beautiful and is more than just your standard natural history museum. The museum's expansive outdoor trails and unique playgrounds make it an ideal spot for visiting on a nice spring day in Atlanta. However, the inside is also fabulous for young children to explore and learn with hands-on exhibits and play areas. "Pterosaurs: Flight in the Age of the Dinosaurs" is on display now through May 5. So make sure you plan your visit before it's gone. The exhibit itself is hands-on, with skeletons that hang above you from the ceiling, and even flight simulators so kids and adults could soar like Pterosaurs. "Neither dinosaur nor bird, pterosaurs flew with their fingers, walked on their wings, and ruled the skies. Journey through the Mesozoic Era with the largest flying animals that ever lived. This immersive exhibit includes remarkable rare fossils and casts, hands-on and digital interactive displays, enormous life-sized models, stunning dioramas and iPad stations with a custom app allowing guests to personalize their experience." When you plan your visit make sure to bring lunch and plan to stay awhile! Make sure to wear your walking shoes so you can enjoy all they have to offer indoors and outdoors. 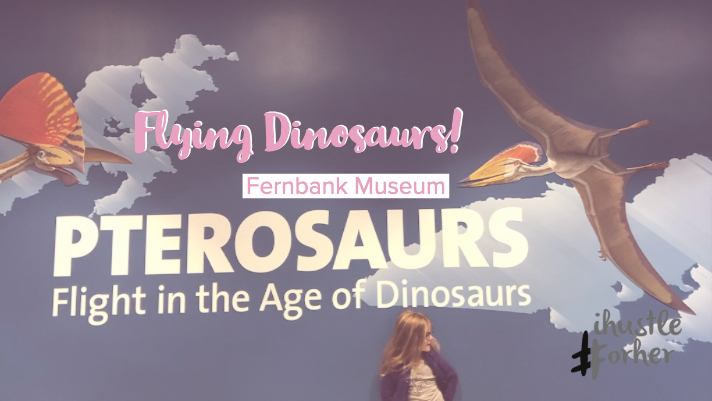 There is so much to do at the Fernbank!